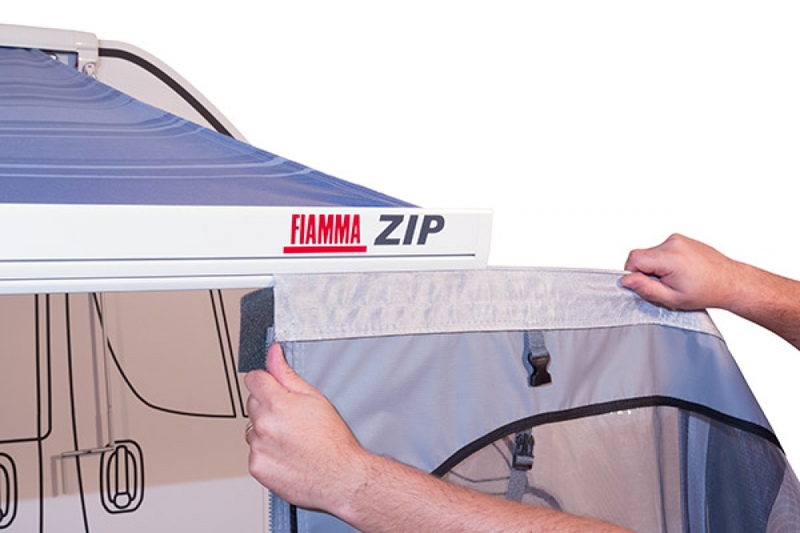 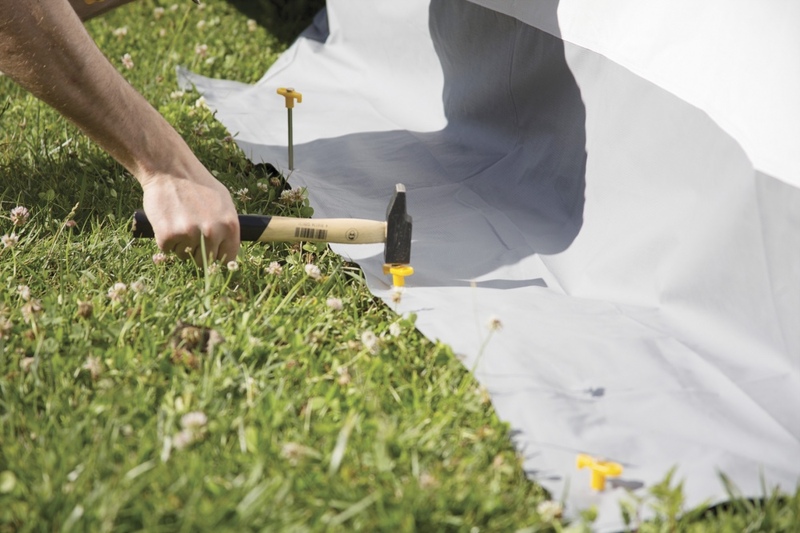 The innovative Fiamma ZIP system joins the side panels to the fabric of the awning with two special sturdy zippers. 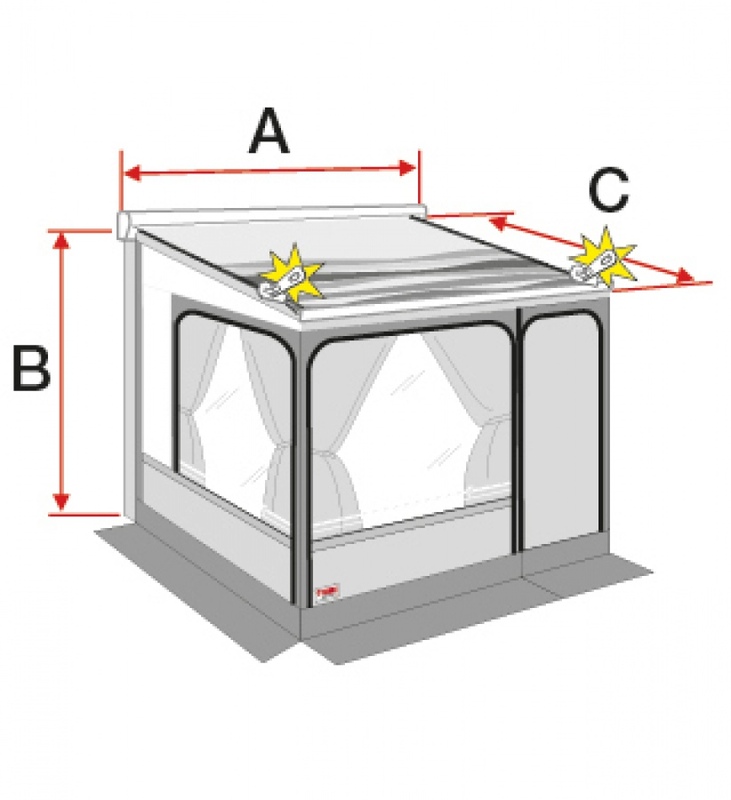 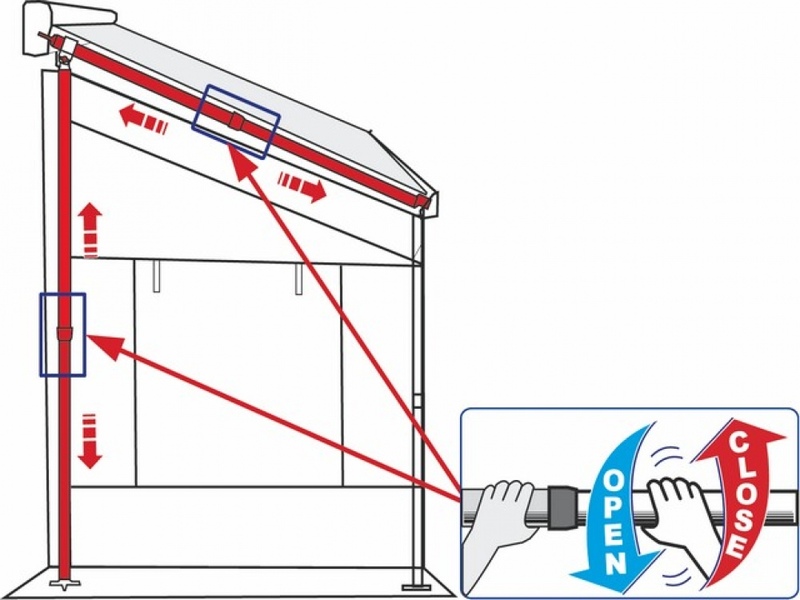 In a few instants the awning can be transformed into a complete enclosure, doubling your living space. 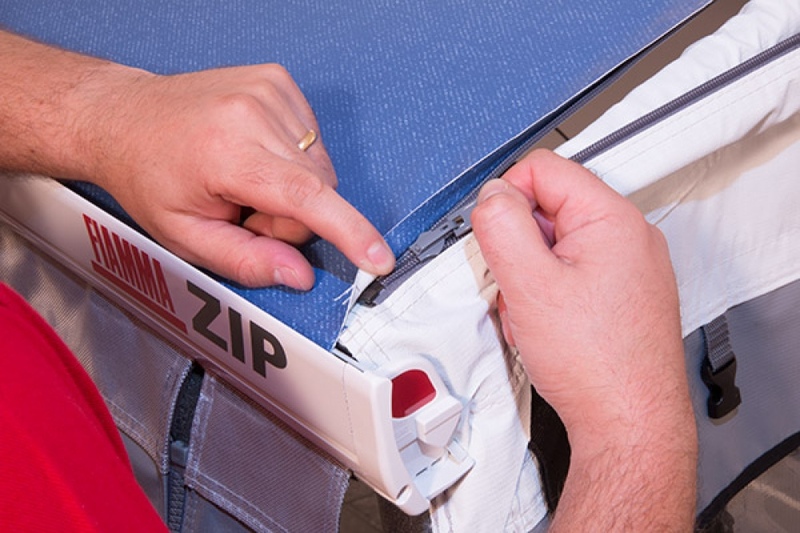 Now more functional and elegant, thanks to the restyling. 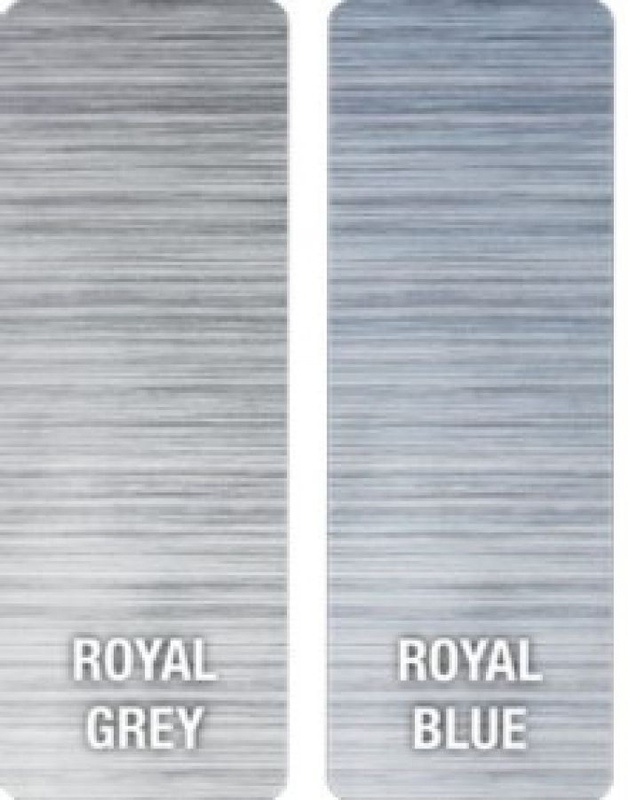 The new look benefits from widened windows, rounded contours and the insertion of grey tones, these improvements make the product more stylish and modern. 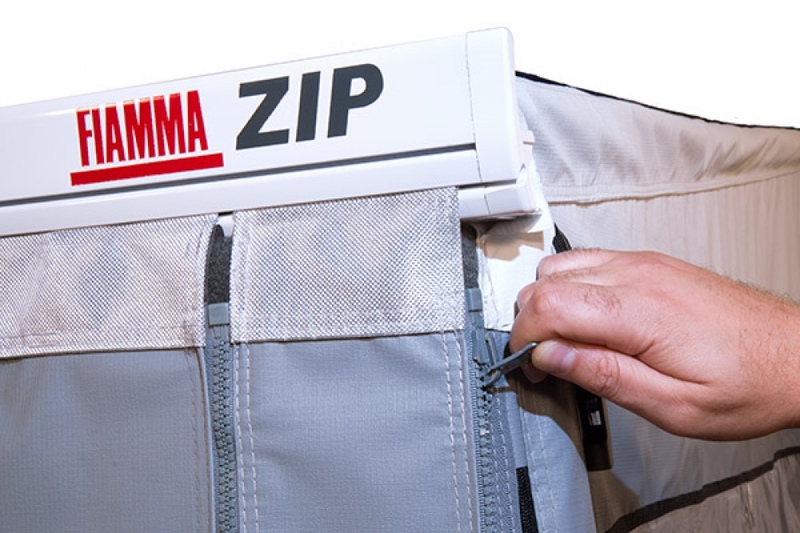 • 1x storage bag Mega Bag 140x27x40cm. 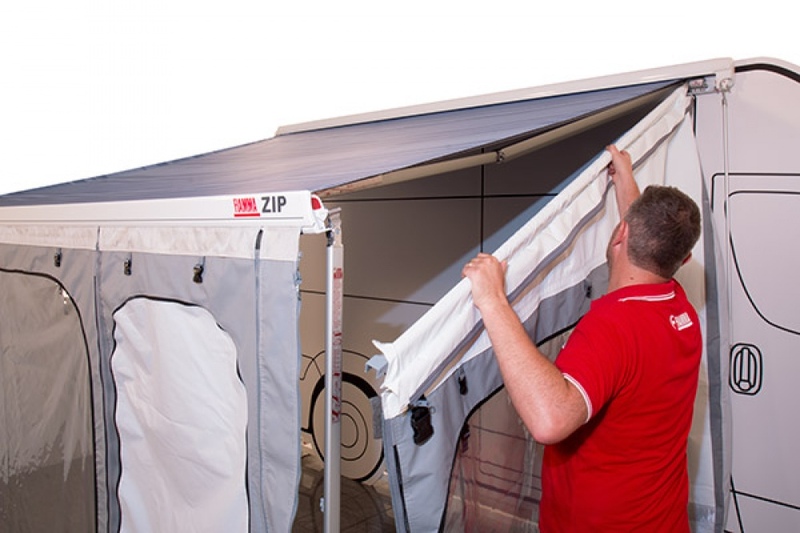 Also available as an optional extra is the right hand side door panel.